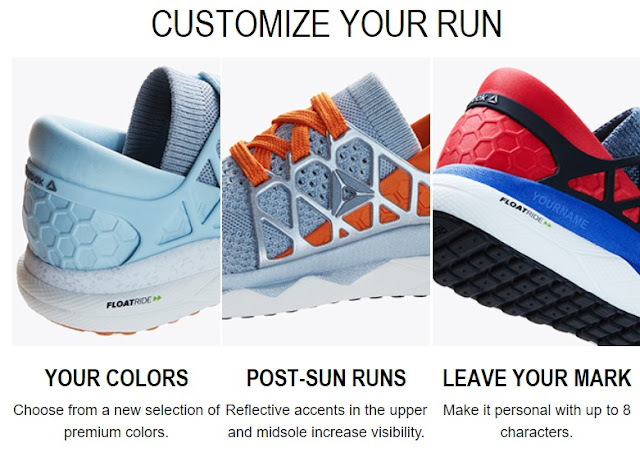 Design your own Floatride, Reebok’s first running shoe with Floatride Foam technology. 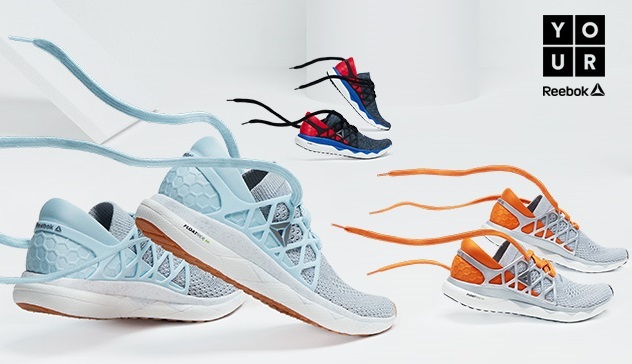 The Ultraknit upper provides support and flexibility, and comes in four different custom colors. Personalize the YourReebok Floatride with your name on the midsole to create a one-of-a-kind running shoe. The custom Floatride running shoe is perfect for long distance runs including marathons, half marathons, 10ks and Ragnar Relay Races. Their go-fast tempo shoe offers a comfortable and secure lightweight ride, so you can go the distance in your design. The one-piece Ultraknit upper is engineered in zones to offer support and breathable flexibility. Seamless construction and a 3D heel cradle limit irritation while locking in a comfortable fit. New Floatride pressure-set foam has a consistent cell structure that delivers the optimal mix of lightweight cushion and a responsive feel. Plus, the supportive foam rim centers and balances your foot throughout the gait cycle for a stabilized landing and launch. Learn more about how to customize your sneakers at Reebok.